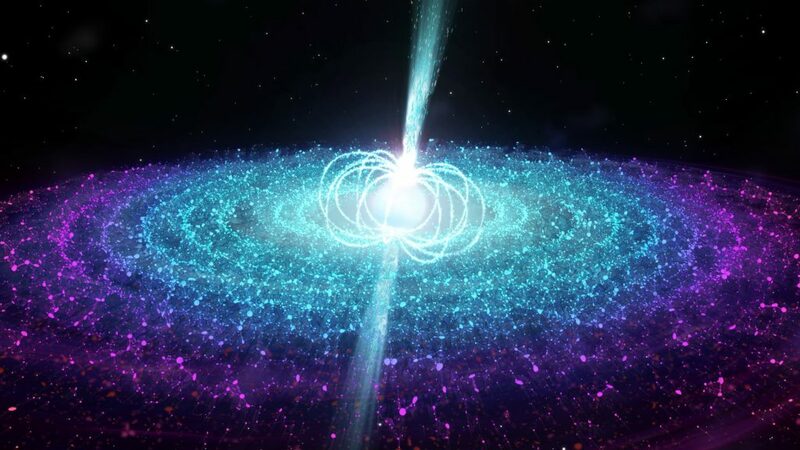 A pulsar, which is a rapidly spinning neutron star that emits a beam of radiation from its poles was just found flying through interstellar space!! It’s moving at around 1100 km/s from its point of origin (a supernova remnant) and is leaving behind a massive trail of dust and gas. By using the Very Large Array at the National Radio Astronomy Observatory out in New Mexico, astronomers were able to capture this flying pulsar 6,500 light years away, as it escaped the leftover debris from the supernova. A supernova happens when a very massive and hot star dies as an explosion and what remains is typically a very dense neutron star. Although it is very rare to OBSERVE a pulsar flying like this, it’s not actually not rare behavior of a pulsar. 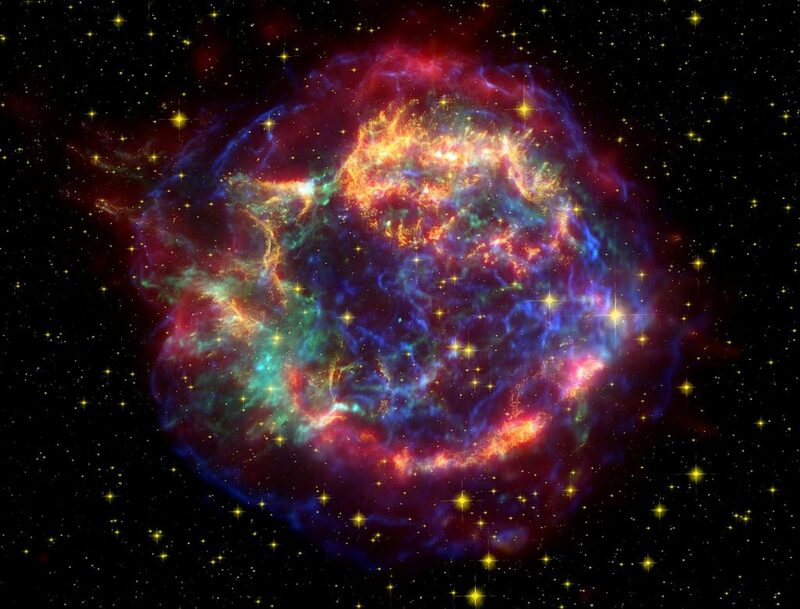 Many times after a supernova explosion, a remnant star can get an extra burst of speed resulting from the explosion where it then can be flung at tremendous speeds out into space. Something else that’s interesting about this pulsar, which by the way is named PSR J0002+6216, is that astronomers observed a tail of shocked particles and magnetic energy trailing for about 13 light-years behind it. The tail points back toward the center of the supernova remnant as it continues to move forward traveling through space. The pulsar is now 53 light years from the supernova remnants center. By measuring the motions of it and tracing it backwards from where it came from, astronomers have been able to determine that it originated from the center of the supernova remnant, right where the explosion occurred. This pulsar’s speed is around 3.5 times faster than an average speed of a pulsar which is normally around 240km/s whereas this pulsar is moving at 1100 km/s. To put to scale the size of a supernova and it’s leftovers, it took this pulsar 5,000 years to reach the outer shell of the supernova after the explosion. And that’s moving at the 1100 km/s!!! Where it’s located today is about 10,000 years after the explosion, and it’s moving so fast that it will escape the Milky Way galaxy very soon. Supernovae are cool, but it’s the activities that occur after the explosion that are most fascinating. The more we observe highly magnetic and dense stars like pulsars, the closer we can get to understanding radio signals from our universe. And the closer we get to understanding radio signals, the better that we distinguish between what is sent from a star and what may possibly be sent from another civilization.